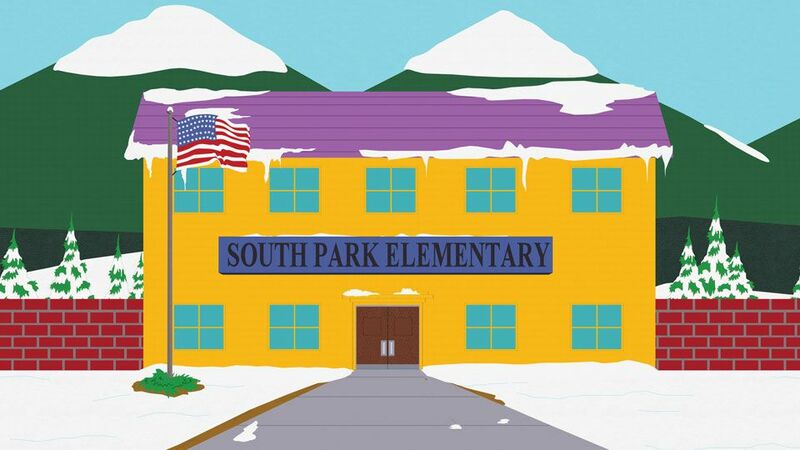 When a breakout of head lice hits South Park Elementary, Ms. Garrison refuses to say which child spread the filthy creatures to the rest of the school. Cartman takes it upon himself to find out who has head cooties so all the other kids can make fun of them. Meanwhile, a louse named Travis is desperate to save his fellow lice from imminent destruction from a conscious world. Mrs. Garrison announces to the class that the school has a head lice problem, and every student must now be checked. During the check, Clyde is informed that he has head lice, much to his horror. The nurse gives him a note and he goes to the doctor, who prescribes Clyde a special shampoo to deal with the problem, but Clyde remains very shocked and embarrassed by the situation, knowing the other kids are going to bully and pick on him. Meanwhile, from on top of Clyde's head, the lice are living peacefully in a village until one of them, Travis, witnesses the nurse parting Clyde's hair and sees her as a gigantic eye in the sky staring at him. Travis tells the other lice the world has become aware of them and is angry, but he is ridiculed. That night, Clyde washes his hair with the shampoo, killing many of the lice. Travis' wife Kelly is killed, but Travis, their baby Hope and a handful of other lice, including the Vice-President of the village survive. The next day in class, the kids ask Mrs. Garrison if somebody did have lice. Mrs. Garrison tells the children that someone had lice but refuses to reveal who because of a policy in schools. The kids begin to suspect each other and plot to discover who had the lice in order to humiliate them. Cartman eventually devises a test to tell who had head lice (mimicking the test in the film The Thing), and rigs it to frame Kenny, whom he assumes has lice because of the fact he is poor and therefore has bad hygiene. Kenny flees the room, and Clyde is somewhat sympathetic. Back on Clyde's head, the few survivors of the disaster gather and Travis tells them that they must flee the world for another one, and to do so they must go to the "Forbidden Zone" beyond the forest. While other lice stay behind to find other survivors, Travis, the Vice-President and another survivor go to the "Forbidden Zone". There, the Vice-President fatally shoots the other survivor and tells Travis he will rebuild the village. While taunting Travis (at the same time shooting and wounding him), the Vice President mocks his (Travis) theories of a living world and shoots the "ground" several times, stating that if the world was alive, it would feel the gunshots and react. Clyde does feel this and reaches up to the back of his neck, picking up the Vice President and tossing him away to his death. 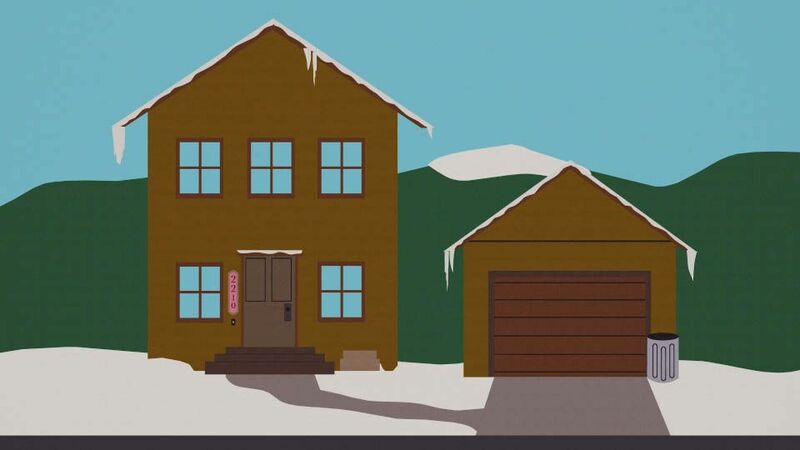 The boys (who are convinced by Cartman that Kenny was lying about his case of lice) manage to track Kenny down to the park, where they intend to punish him by giving him a "sock bath". They tell Clyde to come, but before he does, he calls Mrs. Garrison to warn her of Kenny's danger. Kenny is caught in the park, stripped to his underwear and washed with the soap. Then, Kyle forces everyone to stop and admits that he cannot go through with it and admits that he was the person who had lice. Stan and Cartman also come forward, when Mrs. Garrison shows up and tells the boys that everyone in the class had lice, since lice spread fast around people in the first place and calls them "dumbasses". In response to this, the boys nevertheless proceed with the sock bath for Kenny's denial of having lice (but Clyde doesn't join in). On Clyde's head, Travis, near apparent death, sees an apparition of Kelly in the sky; a soprano in the music score sings "Pie Jesu" from Fauré's "Requiem". The apparition turns out to be a fly, and Travis grabs on to it still holding his child. The fly finally lands on another body and Travis is welcomed in a massive city by larger, red-colored lice, and is told they have lived in peace for generations, having "never been disturbed". The shot zooms out from the trees, and reveals that the red lice are living in Angelina Jolie's pubic hair (who then proceeds to scratch her pubic area).